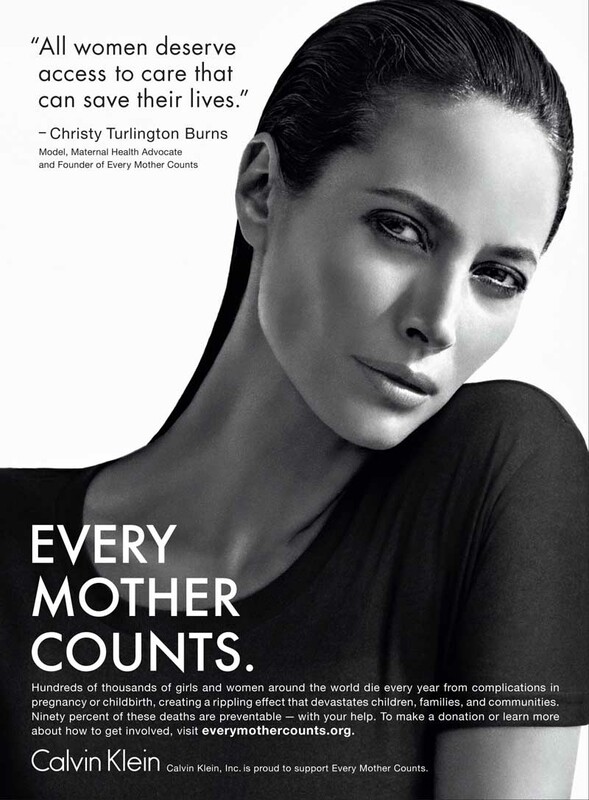 FLASHBACK FRIDAY: Last October, Calvin Klein, Inc. announced a unique partnership with non-profit organization, Every Mother Counts (EMC), which was founded by model and global maternal health advocate, Christy Turlington Burns, who is currently featured in the Fall 2013 Calvin Klein Underwear global advertising campaign. The two organizations have come together to extend their existing relationships and create a multiplatform program designed to broaden awareness of EMC’s mission to make pregnancy and childbirth safe for all moms. The global multi-pronged initiative will be seen in print, outdoor, and online, as well as include fundraising opportunities to improve the health and well-being of girls and women worldwide through EMC supported programs in the U.S., Haiti, Uganda and Indonesia in their effort to avert deaths caused by pregnancy and childbirth around the world. Beginning with the November 2013 issues of some of the most read magazines in the world, a global EMC public service announcement (PSA) debuted featuring Turlington Burns, with messaging to broaden awareness of the organization’s mission and social media platforms, as well as direct people to learn more about, and donate to the cause. Created by CRK, Calvin Klein, Inc.’s in-house advertising agency, the PSA utilizes the creative from the latest Calvin Klein Underwear campaign which was shot by fashion photographer Mario Sorrenti. 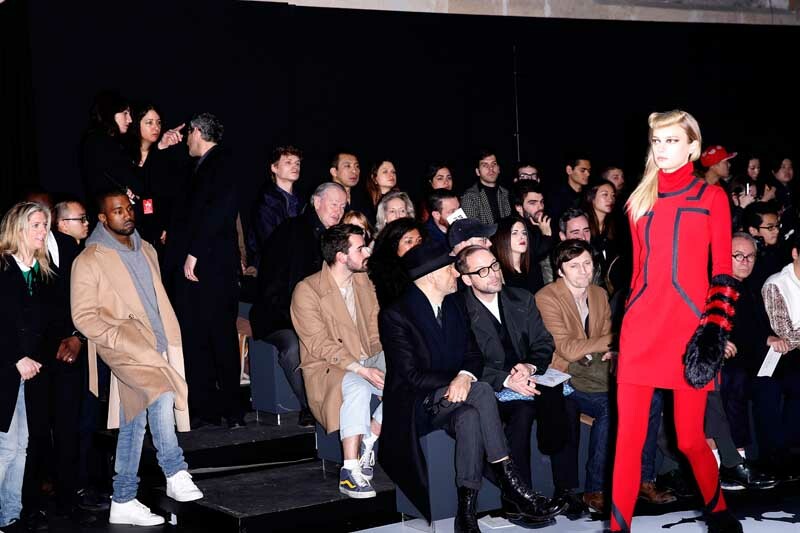 Calvin Klein, Inc. worked closely with publishers around the world to procure placements of the EMC PSA with prominent magazine titles – such as Vogue, W, ELLE, Vanity Fair, Harper’s Bazaar, Glamour, Marie Claire, Cosmopolitan, Town & Country, GQ, Details and Esquire, among many others – resulting in over 90 print PSA’s to be published, as well as digital and outdoor executions, spanning all continents, with an estimated media value of over $5 million.